Your search for the best scope for 22LR ends here. Actually, I’ll show you 5 of the very best 22LR scopes in today’s post. Whether you’re looking for a budget scope or something specific, you’ll surely find it right here. Which .22LR Scope is yours? I’ve personally tested every single scope I recommended. Matter of fact, I never recommend a scope until I’ve read everything there is about it. Manufacturer technical explanations, Youtube videos, Amazon reviews, gun forums and more. I leave no stone unturned until I find what I’m looking for. But I don’t stop there. I actually BUY every single scope that I’ve liked and test everything on it: glass quality, durability, eye relief, accuracy and other advanced scope functions. What you see down below are only the very best 22LR scopes that survived my testing. 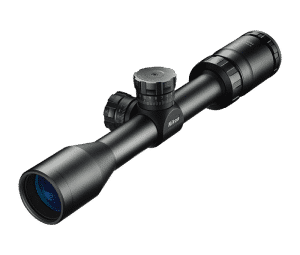 I hope you find the best 22LR scope for your needs! Leupold has stolen our hearts again with their continual innovation in scope technology. It takes a family-owned company to understand the needs of a family, including your savings account. Although they improve their scopes with each model, they don’t gouge your wallet. Their VX-1 is a prime example of getting outstanding quality for a reasonable price. In fact, it was their nitrogen sealing process that made waterproof and fogproof scopes the industry standard. You can expect this scope to survive more weather conditions than you can handle yourself! Despite the weather and the scope’s lack of illumination, you’ll still spot your target clearly without hassle. Leupold’s unique Multicoat-4 Lens keeps your sight bright even in dim light. Lining up every target in their LR Duplex reticle will never be a hassle. What’s special about the LR Duplex? Depending on your ammo, it uses a 200 or 300-yard zero with BDC points every 100-yards. These aiming points remain dead-on accurate up to 600 yards. If you never thought you’d find the best 22LR scope in compact form, think again. Weighing in at barely under 1-lb, it won’t make your baggage any heavier or bulkier. Even better, the light weight won’t require much of a learning curve. Is this Scope for you? A long list of features that compensate for poor design is not as appealing as they seem on paper. Although Leupold doesn’t give you buzzy features, they make quality scopes that last a lifetime. When you see that gold ring, you can trust it’ll get you through your next hunt. If you want a medium-to-long range scope (check out our best scope for AR-10 guide) for a fantastic price, this is what you want. Did you ever think you could accurately shoot your .22LR ammo at 150 yards? Believe it or not, you can. Offering 3.6 inches of eye relief and a roomy eye box, catching your target is no problem. Full multi-coat lens make it even easier by reducing glare and offering a crisp view. Then when you’re chasing small game, the quick zero reset turrets won’t let you down. Using them is as simple as locking in your zero and blasting your target round after round. It’s almost just as easy as using the fast focus eyepiece. When it’s time to pull the trigger, all you have to do is dial in the fast focus for the best view. You can enjoy this along with parallax-free shooting up to 50 yards. Could you ask for any more convenience? We can’t find anything to complain about these 22LR optics. Although it sells at a budget price, you are getting more than budget quality. The only exception is for the close-range shooters who might experience a little blur. Since the parallax settings aren’t adjustable at 25 yards or closer, it might get annoying, but is manageable. 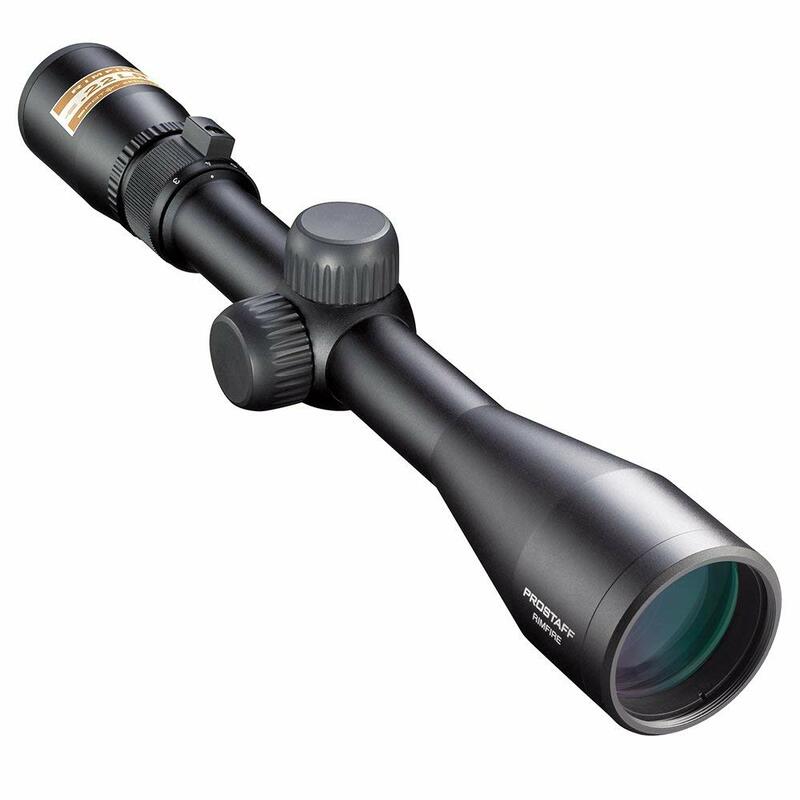 Simply, it’s an ideal budget scope for mid-to-long range shots. Nikon found the ideal balance of give and take while designing this scope. It has all of the features you could want, without all the excess stuff that raises the price. As we always expect from the innovative Nikon, you get a clean view through their multi-coated Eco-Glass lenses. Why the “Eco”? The anti-reflective compounds they use are free of lead and arsenic, making it safe for everyone to use. Enjoy this clean view up to 150 yards through their crisp BDC reticle. While it works best up to 100 yards, the Rapid Action Turret (RAT) system aids the final 50 yards. In addition to reducing blur, it lets you dial in elevation up to 600 yards away so you never lose your center. The RAT system is awesome, but it’s not the only special technology that Nikon delivers in this scope. 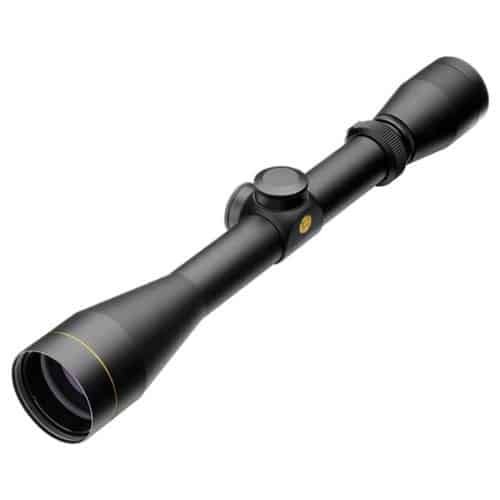 Pair the remarkable scope optics with Nikon’s technology for an experience unlike anything else. Without a doubt, it’s worth every single dollar. It will last a lifetime and work through a huge variety of ranges. Whether you hunt or just target practice, there isn’t anyone that won’t appreciate this Nikon masterpiece. Vortex combines a small package of features that come together for big results. As soon as you mount it, you’ll notice smooth, straightforward controls for magnification adjustment, windage, and elevation. At ¼ MOA clicks for elevation and windage, you can always guarantee precise aiming. Another one of our favorite features is the fast focus eyepiece. Shed your last-minute doubts by quickly adjusting it for the clearest view. With the multi-coat, anti-reflective lens, it only gets better. Maximum light transmission, low haze, and the wide field of vision will make target acquisition effortless. Our only complaint is that it carries some extra weight at over 1-lb. While it doesn’t sound like much, it might require a small learning curve to master this scope. Otherwise, it’s perfect for mid-to-long range shooting thanks to the second focal plane (SFP). It’s the most common reticle style, which adjusts as you zoom, rather than staying one size. While it’s ideal for long-range, it still works well for close-range shots. Believe it or not, that’s not all Vortex has to offer with this model. Simply, this is a scope that beginners can use with ease and experts will love. Since it covers a wide range of distance and weather conditions, you can take it just about anywhere. Although it’s not great for quick shots, it excels at what it’s meant to do. Best of all, it’s available for a very affordable price. By far, this is our cheapest 22LR riflescope. Since BSA is not as popular as our other brands, you’re getting a decent deal. Even for a low budget scope, it still offers all of the basics plus a little extra. Catch your target through lens with a full-optical coating and a safe eye relief of 3-inches. Additional ease comes from the hand-adjusted windage and elevation dials that make it accurate up to 100 yards. Even if you use different grain 22LR ammo, you’ll get interchangeable drums specifically for 36, 38, and 40 grain ammo. However, we do have a couple of complaints. First, it does not come with scope mounts. Although many people buy their own separate mounts anyway, it’s one small sacrifice for a low price. Also, there are plenty of horror stories surrounding the duplex reticle. After so many uses, the reticle often rotates from the upright “plus” sign to a crooked “X”. Don’t let that get you down though, because there is a brighter side. The BSA Sweet is specifically made for the .22LR Cartridge. In other words, you can trust the accuracy of every shot knowing that it was just made for you! Although we can’t say much about this scope, we can say that you get your money’s worth (which isn’t much). It covers all of the basics, plus a little extra with its interchangeable drums. If it weren’t for the consistently faulty reticle, it would be well worth every dollar. However, if you can work with an “x” as well as a “plus” sign, more power to you! What’s the Best Scope for .22LR? If you don’t think any of these scopes will improve your 22LR shots, you might want to get your eyes checked! All of them cover a huge variety of distances, making them accessible to close and long-range shooters. Best of all, you don’t have to break the bank to mount it today. And if you’ve thrown a .22LR upper receiver on your AR-15, check out our best scope for AR-15 guide. You’ll love it.